Click on any of our board members to learn more. David Gray Adler is President of The Alturas Institute, a non-profit organization created to promote the Constitution, gender equality, and civic education. A recipient of teaching, writing and civic awards, Adler has lectured nationally and internationally, and published widely, on the Constitution, presidential power and the Bill of Rights. He is the author of six books, including, most recently, The War Power in an Age of Terrorism, as well as more than 100 scholarly articles in the leading journals of his field. He is currently writing a book on the landmark Supreme Court decision in Reed v. Reed, which had its origins in Idaho and transformed the law for American women. Justice Ruth Bader Ginsburg will write a Forward to the book, the research and writing of which is supported by a Research Fellowship from the Idaho Humanities Council. Adler’s scholarly writings have been quoted by the U.S. Supreme Court, lower federal courts, the U.S. Attorney General, the White House Counsel, the Legal Adviser to the State Department, by Republicans and Democrats in both houses of Congress, as well as political scientists, historians and law professors. He has consulted with members of Congress from both parties on a variety of constitutional issues, including impeachment, the war power and the termination of treaties. He has delivered more than 700 public lectures throughout Idaho, and writes Op-Ed pieces that run regularly in six newspapers across our state, and in papers across the country. Adler has taught courses on the Constitution, the Bill of Rights and the Supreme Court at all three universities in Idaho. He has held the Andrus Professorship at Boise State University, where he served as Director of The Andrus Center for Public Policy, and the McClure Professorship at the University of Idaho, where he was Director of the James and Louise McClure Center for Public Policy Research, and held a joint appointment in the College of Law and the Department of Political Science. Previously, he was Professor of Political Science and Director of the Center for Constitutional Studies at Idaho State University. He remains a Lecturer at the University of Idaho College of Law. In 2010, he was the recipient of the Idaho Humanities Council’s Distinguished Humanities Award. 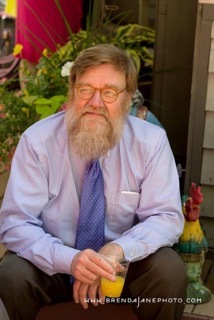 A frequent commentator on state and national events, Adler’s lectures have aired on C-Span, and he has done interviews with reporters from the New York Times, Washington Times, Washington Post, Wall Street Journal, Los Angeles Times, Newsweek, National Review, The Nation Magazine, Mother Jones, Fox News, NPR, NBC, CNN and the BBC. 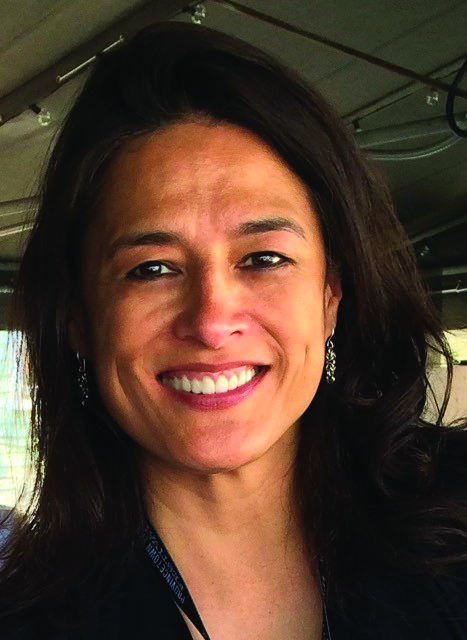 Adler has served as a member of the Board of Directors of various academic, corporate and civic organizations, and is a founding member of the City Club of Idaho Falls. He earned a B.A. from Michigan State University and a Ph.D. from the University of Utah. 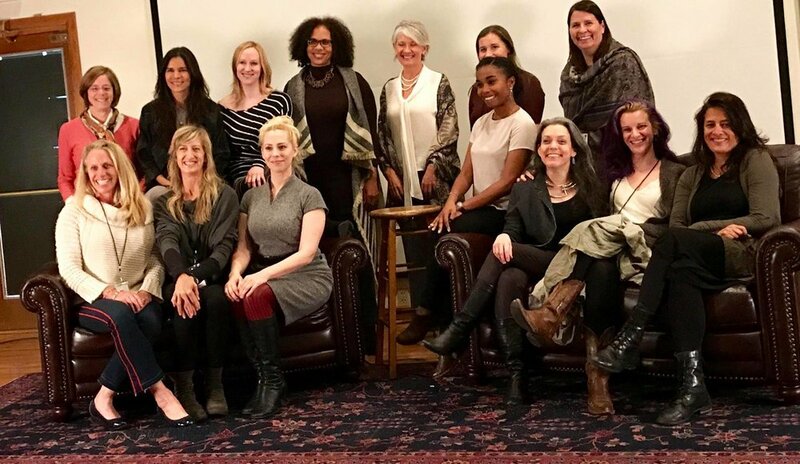 The Alturas Institute’s Board of Directors is led by a majority of remarkable women, a function of our commitment to gender equality. We are proud to feature a group of men and women who are dedicated to our mission of advancing the Constitution, civic education and gender equality. Our board members have won national awards and prizes, distinguished themselves in their professional and personal lives, and held prestigious leadership positions at the local, state and national levels. They have informed the citizenry on all manner of political, cultural and social issues, and have educated the public at the nation’s premier schools, colleges and universities. They have shared with audiences small and large their considerable expertise in the areas of law and finance, the arts and humanities, and history, science and technology, at home and abroad. They have shared on national radio and television programs thoughtful essays, commentary and keen insights and perspectives. They have directed and produced movies that have entertained the masses, and contributed moving and thought-provoking magazines and books to the world of literature. They have traveled far and wide, nationally and internationally and, in the case of our resident astronaut, outer space. Our board members hail from all walks of life, cities large and small, and blanket the nation, from Massachusetts and New York to Minnesota and Nevada to Idaho and California. They can regale you with stories about their lives and experiences as smoke-jumpers and anglers, skiers and cowboys, publishers and bankers, and lawyers and martial artists. And, if you are lucky, one of them might perform your favorite opera. My goal as an educator, writer and constitutional scholar has been a simple one: to find a place for the Constitution in the minds and hearts of the citizenry. Without a broader public understanding of the Constitution and deeper appreciation for the virtues and values of American Constitutionalism, there is little reason to believe that the nation’s founding document will long endure. Of the many challenges that our nation faces, two have central importance to the work and goals of The Alturas Institute: widespread civic illiteracy and general indifference to governmental disregard of constitutional principles. The alarmingly high level of civic illiteracy in the United States represents a national security crisis. A national survey revealed that one in three native-born citizens fails the civic literacy test that immigrants are required to pass. Of the immigrants who take the test, 97.5 percent pass it. Only 25 percent of the American people can name the three branches of government. Seventy percent do not know that the Constitution is the supreme law of the land. Nearly 60 percent of the citizenry cannot name a single Justice on the U.S. Supreme Court and 12 percent believe that the Bill of Rights guarantees the right to own a pet. Few can explain how the Constitution allocates power, defines the responsibilities of the three branches of government, protects the rights and liberties of the citizenry and, at all events, why constitutional government matters. Civic illiteracy threatens our freedoms and renders us vulnerable to the abuse of power. An untutored public, lacking an understanding of the First Amendment cannot, for example, determine whether governmental acts have unconstitutionally infringed on protected speech or religious practices. An unwitting electorate, moreover, may not recognize presidential usurpation of the war power, if it does not know that Congress, alone, possesses the constitutional authority to initiate war and lesser military hostilities on behalf of the American people. Unfamiliarity with the constitutional allocation of power deprives the people of the ability to hold government accountable, the very premise of the rule of law. Without knowledge of the Constitution and basic civics, including the enumeration of powers, separation of powers and checks and balances doctrines, the citizenry is more and more likely to acquiesce in the face of usurpation of power, since it lacks the tools necessary to question, critique and challenge governmental declarations and actions. As a consequence, citizens become less engaged in the politics of the republic and are made to suffer the imposition of policies, programs and laws to which they’ve given no meaningful consent. Indeed, an electorate, utterly lacking fundamental knowledge about the Constitution and the principles of republicanism can hardly offer any meaningful consent to governmental actions, laws and programs. In that case, the central premise and promise of the Declaration of Independence—governmental legitimacy hinges on the consent of the people—becomes an unattainable proposition for the American people. In that context, the sheet iron of the republic, made famous by Abraham Lincoln’s statement: “Government of the people, by the people and for the people,” becomes a hoax perpetrated on the people. For many, the virtues of constitutional government are self-evident. The ratification of the Constitution (and subsequent amendments) represents an exercise in popular sovereignty, a declaration by the American people, to draw on the words and thoughts of James Iredell, a ratifier from North Carolina, and a member of the first session of the Supreme Court, that we are willing to be governed by a particular allocation of power and a particular division of responsibility, and no other. The American people, he explained, had not granted government a blank sheet of power, but rather had imposed limits on its authority. Limited governmental authority, defined and confined within the four corners of the Constitution, would prevent government officials from trampling the rights and liberties of the people. But too many Americans, in the name of partisan politics and party affiliation, are willing to ignore acts of usurpation and aggrandizement. Acts of indifference to violations of the Constitution on such grounds encourage imitation, which will melt the very chains of the Constitution, designed to limit governmental power. That is the road to Machiavellianism—the ends justify the means---the antithesis of Constitutionalism. Instead of ignoring acts of aggrandizement and transgressions against our civil liberties, Americans should stand up and speak out against constitutional violations. As difficult as it may be, the maintenance of the Constitution requires Democrats and Republicans to criticize members of their own party. Party affiliation has its place in American politics, but party loyalty must be subordinate to constitutional principles. By what means should citizens adjudge the parameters of power? The traditional methods of constitutional interpretation---application of the text, historical framing of the Constitution, and its structure—embraced by our founders and by most contemporary judges and scholars across the nation, will help by placing all readers at the same table, using the same constitutional language. Acceptance of those cannons of interpretation won’t eliminate all disputes about the meaning of the Constitution, of course, but it has the advantage of promoting a shared platform for those who engage in discussion and debate about the supreme law of the land and the application of its provisions to current constitutional controversies. That’s far better than an arena in which contestants are talking past one another, using means and methods that find no common ground in our discussions. The goal is to create in America a constitutional culture, in which citizens embody a constitutional conscience and constitutional consciousness. The creation of a constitutional conscience will instill in the citizenry a sense of duty, an obligation, to hold government accountable to the terms of the Constitution. They will raise their voices and decry acts of usurpation and aggrandizement. The development of constitutional consciousness would reflect among the public a growing understanding of what the Constitution permits and what it prohibits.